The Goplus 750W is our pick for the best drywall sander, which has a variable speed so that it does not waste your machine’s energy and longevity. It has a compact design and is made with heavy duty aluminum. Our step-up pick is the PORTER-CABLE 7800 and it has a 13-foot hose plus a power of 4.7 amps. It is able to work at variable speeds from 1,400 RPM up to 2,000 RPM. The budget pick is the ALEKO DS1200 and it can also act as a paint remover. It is portable and handheld and consumes 1,200 watts of power, with a working voltage of 110 volts at 60 Hz. A drywall sander is a kind of device that can help smooth out the wall. The sander is a tool that enables your wall finish to be much smoother and better looking for painting or for decorating. 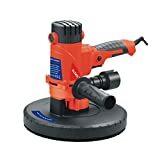 It is like a regular wood sander but sharper because it is made for drywall, which is nothing like wood because of its special properties as a building material. Drywall is also known as sheetrock or gypsum panel and is a building panel. It is commonly used for houses, buildings and the like because of its ease of installation and maintenance. It is a well known product for building things and rooms because of its profound durability over other materials that are traditionally used in making houses, such as wood and lumber. Its known materials include fiberglass and others that keep the chances of mold and mildew low. Fiberglass is a great material that has been used for most boats and ships because of its great resistance to weather and the elements. It is hard to deteriorate, to warp and to crack, and thus it is a favorite for most builders who want a durable and longer lasting material for their structure or house space. One unique thing about drywall is that it can also block some sound. This is a helpful thing if you want to set up a home studio or a recording room for music or for practice. This is so that you are not easily spreading out the sound to the rest of the house and disturb other people. The ability to block or at least diminish the sound that goes in and out makes it ideal for that - just make sure you get a soundproof quality drywall. If it is, however, exposed to too much moisture, then it may start to dissolve. This is why it should be of better quality to avoid dissolving too much. Think about where you will use it, as rainy seasons and climates may not be the best for it. This is why this kind of building material is still not popular in some countries where humidity and the rainy season could be a big problem to all. Most buildings use drywall to act as a fire resistant material or barrier. This is a kind of drywall that is usually labeled as Type X while there is also another that is labeled Type C. Both of them have differences, like all other types, but they are specially made for fire resistance and to meet fire codes for buildings around the world. Type of drywall: types of dry walls include type X (fire resistant), regular white, sound proof, bluebeard, green board, fire code C and many others. You have to know the different types so that you will know which one is more applicable for your needs. The ones that are specifically for fire resistance are the most common of all of them due to their unique usefulness. Speed of rotation: the rotation speed will have something to do with the speed of getting your work done in no time. It will also ensure that the smoothing and sanding of your tool will be precise, especially that it will be used on a slightly hard material. You should also consider the rotation speed to be adjustable so as not to damage your drywall and not to expend too much power on your machine. Power or voltage information: this is important because not all countries have the same electrical voltage system. Some will have 110 volts and some will have 220 volts. It also depends on the power consumption whether the machine is economical to use and will not consume you too much cost forthe electric bill in the long run, judging by its power rating. Ease of gripping and handling: you should consider one that is easy to handle with an ergonomic grip so that your hands do not experience fatigue while you are using the tool all throughout your task. This lets you work for hours without a lot of pain and lets you be more accurate while you are operating it. Warranty: consider a reasonable warranty period so that it will not easily be a waste of money should anything go wrong. The warranty period usually depends on the seller. As our top pick, the Goplus 750W is a nice machine that has an adjustable speed that is variable so that you can choose up to 2,000 RPM on its maximum state, for over 6 speeds to choose from. It does not consume a lot of electricity so it is power saving. Its construction is aluminum while its outer shell and handle is made with polyamide that can withstand the test of time and reduce corrosion instances. A pack of 6 sand pads are included as well for ease of use. The telescoping handle is helpful for hard to reach areas while the swiveling head is also very useful. While not a major deal breaker, the only small con with the Goplus 750W is that it may only be ideal for small to medium sized projects, so you might need a more powerful/expensive one for large-scale projects. As our step-up pick, the PORTER-CABLE 7800 is also a variable speed competitor, in which you can set the speed from 1,400 RPM up to 2,000 RPM for convenience. It is not too heavy to carry around, causing less fatigue to whoever uses it for any project whatsoever. Mounting and handling is a breeze because of the straps with a hook and loop system. At only 8.5 lbs of weight, this machine packs a lot of power at 4.7 amps and is powered at 120 volts 60 Hz on AC power. 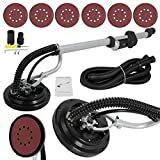 It has a vacuum hose that spans up to 13 feet. As our budget pick, we chose the ALEKO DS1200, which is an ETL approved machine that runs on 110 volts 60 Hz and has 1,200 watts of power. Its speed is also variable, from 1,400 RPM up to 3,100 RPM, so you can work on projects easily without having to change tools with different speeds. There is also an included dust bag for ease of cleaning. The diameter of the vacuum tube is at 32 mm while the sanding pad is at 8 1/2 inches in diameter. You can use this kind of tool for adhesive plasters, walls, ceiling, paint, flooring and the like. There is also an auxiliary handle if you want to use it for other operations. There is also a detachable brush so you can pick up the debris from tight corners. The ARKSEN 6FT is a great choice for those who also want a nice hard case for them to keep their tool and other supplies needed for sanding. It is powered at only 600 watts so it is an energy saver and it can be tilted up to 180 degrees. The hose is also certified by SGS, ETL, CE and EMC and spans at 13 feet in length. There are also an extension for the pole with up to 6 feet in length or 4 feet when desired. The speed of the whole thing can be set from 450 RPM up to 1,050 RPM as a variable speed motor. It is also not very heavy to carry around as a portable tool. The ZENY Electric is also another variable speed tool, in which you can select from 1,000 RPM up to 2,000 RPM to meet your best needs and expectations. Its grip handle is very ergonomic to prevent user fatigue and the construction of the poles and everything is proven to be durable. Each sanding pad has a diameter of 8.8 inches. You can reach different angles and corners due to the low weight of the whole device. There are also a total of 6 sanding discs included for your convenience. A user’s manual will also be delivered to your doorstep along with the problem should you have problems. It runs and operates under 110 volts 60 Hz and is powered at 800 watts with a total length of 58 inches. If you want something that has a telescoping handle, the ALEKO 690L is a great choice. 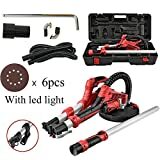 The unique thing about this is that it also has an LED light so you can work with it even in the darkest areas of the home or project area. It comes with 6 sanding discs and only weighs 9.5 lbs so it is not too heavy to carry around. The speed (no load) ranges from 450 RPM up to 1,100 RPM. It is also great for industrial applications and it is also ETL approved. Its input power is at 750 watts and it has a roof suction technology that reduces its overall weight to avoid user fatigue. Its flexibility also allows you to use it in hard to reach areas. The LionZ 750W has an LED work light so that you can use it even in the darkest of days and rooms. It also has a double lock function so that the handle, when extended, will not go back to its shortened position while you are working on a project, thereby making it safer to handle overall. Its adjustability makes it a great companion for working on anything. Each of the segments of the brush can be easily detached so that you can use it for corners, crevices and other tight spots. 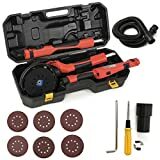 It has a no load speed of 800 RPM up to 1,700 RPM and it comes with all the accessories needed, such as a soft hose at 4 meters, carbon brush, adapter, hexagonal wrench, 6 sanding papers and a user’s manual. The Comie 750W is a great choice if you want something to be used commercially or for big projects. It comes with a free sanding pad and has a speed of 1,000 RPM up to 2,000 RPM. 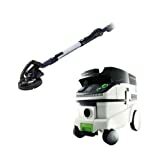 It has an output of 750 watts and it has an external vacuum cleaner to reduce cleaning time. Its aluminum frame makes it withstand the test of time while not being too heavy at all. The swiveling head also gives you more control over your task, while the disc diameter of 8.8 inches is just right for sanding your drywall. The Festool P26571579 Planex may be a little more expensive, but it is great for commercial use as well, as it has a HEPA dust extractor in places where you need to be really clean in order to work on a project precisely without inhaling the irritants in the air. The dust extractor has a capacity of 6.9 gallons. 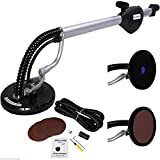 It comes with a lot of accessories as well, such as a sanding sheet, a sanding pad (9 inches), a suction hose at 11.5 feet, an extension pole, a systainer, the control unit and the important power cord. It is also backed by a factory warranty. For something that can swivel and can fit into tight spaces, the F2C 800W Swivel is a good choice for you. It is powered at 800 watts with a choice of 6 speed options from 1,000 RPM up to 2,000 RPM. Its standard disc diameter of 8.8 inches can get the job done while the portable handle is easy to grip. It also comes with a total of 6 free sand pads for you to use on the fly. Because it is not too heavy, it can be easy to maneuver without user fatigue in the way. It also comes with accessories like a screwdriver, a wrench, a sanding hose and the user’s manual. Others were too harsh for most dry walls and have speeds that cannot be easily controlled and can damage the drywall. Some of them also consumed too much power or is prone to overheating. Q: What is a gypsum board wall? A: A gypsum board wall or drywall is a kind of material that is used for making walls and housing. It is much like concrete and wood but much more durable and also resistant to certain temperatures and outside forces that might otherwise be dangerous to other materials, since it is partly made of fiberglass. Q: What are the different kinds of gypsum board wall? Usually available in panels of 4 x 8, the thickness of this kind of gypsum board wall is from 3/8 of an inch up to 1 full inch. If you don’t have a lot of budget then this is the kind of gypsum board wall that you can go for. Green board is known to be great against moisture but not totally waterproof. You can use it for backing tiles in kitchens and laundry rooms, as well as in the bathroom. A green board panel is great for moisture inhabited climates and areas. Also known as veneer plaster or plaster baseboard, it is great for reducing noise, emissions and mold altogether. If you want something that can be able to resist mold and mildew, this is the type to get. The paperless gypsum board wall is a unique texture and design with great resistance to mildew, mold and the elements over regular gypsum board with paper. This one is similar to that of regular gypsum board wall but the advantage is that you can definitely use it with water because of its great moisture resistant as well as the ability to hold back mold. Also known as the fire resistant gypsum board walls, it has great thickness of up to 5/8 inch up to 1/2 inch depending on your needs. It is usually the type to use when you are meeting the fire codes of ASTM C 36, with a 1-hour fire rating for most types. Ever want to build your own music room, sound production room, bedroom studio or practice room? The sound proof gypsum board wall is a great choice for you. It is made with polymers and wood fibers, which are special to this type, that boost the sound transmission class or STC of the material. Q: What's the difference between Type X and Type C? The Type X is available in 5/8 inch thickness. The Type C is available in thicknesses from 5/8 inch up to 1/2 inch. Type X has a decent amount of fiberglass. Type C has much more fiberglass, making it much better in fire resistance than Type X.
Q: How is plaster different from gypsum board wall? Q: What is a sanding tool? A: A sanding tool is a kind of tool that helps polish the surface of a specific material, such as wood or gypsum board wall. It is commonly used in building and finishing so that your wall or surface will look attractive, smooth and less messier than before, especially if it is raw or has many patches. Q: What are the different kinds of sanding tools? 1. Belt sanding tool – this is a kind of tool which uses the strength of a belt that runs like a conveyer belt in order to sand or smooth out your surface. It is meant for horizontal and flat surfaces and will usually have an adjustment knob. It uses two cylinders that spin together in motion that makes up the entire conveyer belt like system. If you want to remove finish, paint, stain, varnish or anything that is on top of your material that is unnecessary, a belt sanding tool is the way to go. 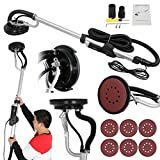 It can come in a wide variety of sizes, up to 24 inches for the industrial use ones, and 18 inches for the home use ones or for the go-to DIY person. 2. Orbital sanding tool – this one is slightly lighter than the belt sanding tool, and is usually quieter so it can be used at home without causing noise pollution. It is usually meant for finishing and adding smoothness to your material, such as gypsum board wall. It gives a smoothness like no other and will require a certain size of sandpaper depending on the kind or size of sanding tool you have. The orbital sanding tool is much more preferred by the DIY person because of its lightweight material and ease of handling, and since it is square shaped, it will usually use sandpaper that is around 9 x 11 inches depending on the size of your sanding tool. 3. Random orbit sanding tool – this one is much like the orbital sanding tool, except that it is made with a circular sandpaper. 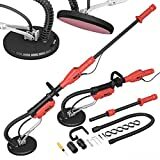 If you have ever seen a floor polisher, or even a vinyl record for that matter, that’s the concept of this kind of tool. It spins around as fast as possible so that it can help sand out and smoothen the surface of your desired material. You can find it very useful for smoothing out tables and the like. This kind of sanding tool is the one you will most likely use for a gypsum board wall to smooth it out properly. If you have to go for a gypsum board wall that is large enough, you would have to go for a telescoping handle one or an industrial sized one, so that you can get the job done quickly. Most o f them will have variable speeds, anyway, to protect the tool’s motor lifespan. Q: Which is better for a tool: corded or cordless? Corded tools have a lot more power because they can run for unlimited hours. Cordless tools have limited power because they only run on battery power. Corded tools cannot be used remotely because of the problem of the cord. Cordless tools are very convenient and thus they are great for working on the go. Corded tools are usually cheaper because they don’t have a special battery inside. Cordless tools tend to be more on the expensive side due to the special battery inside, but nowadays, lower priced ones are also available. Some corded tools cannot change into another tool. Most cordless tools can change into another tool using attachments. Corded tools tend to be more durable because they are meant for heavy duty use. Cordless tools tend to be less durable because they are meant only for small and DIY use, as well as on yards. 1. It is almost always simple and straightforward to use. 2. It can also remove other residue that might stay on your surface. 3. It does things quickly so you can get the job done faster. 4. There are many kinds of sanding tools for different jobs. 5. It create a nice finish to your material, regardless of its type. Q: What are the benefits of a gypsum board wall? They are definitely better than plaster walls. Gypsum board wall is known to be a great attraction to guests and homeowners. This can help with energy efficiency. If you want to keep yourself warmer in the winter yet avoid spending too much on the electric bill, this adds to insulation. It is a must-have for public places that should adhere to fire codes. They are much easier to repair than wood, and are less costly. Q: Which is better: plywood or gypsum board wall? Gypsum board wall is pretty strong, but not as strong as plywood. Plywood is slightly superior to gypsum board wall in terms of strength. Gypsum board wall can be heavier when it comes down to carrying it when installing, from 20 to 30 pounds more than regular plywood. Plywood, when compared to gypsum board wall, is usually lighter but it depends on the size and the thickness of the plywood. What makes gypsum board wall the best for most establishments is that it is fire resistant and is made for fire rated buildings. Unlike gypsum board wall, plain old plywood is not that good against fire hazards so they may not be ideal for such fire code buildings. Gypsum board wall is very versatile when it comes down to the finish, as you can easily paint over them. Plywood can also be painted over, but you can also get the natural wood finish. Q: What are the common mistakes when using a sanding tool? 1. Not having the right sanding speed. The sanding speed should neither be too fast nor too slow. Too fast and it can go haywire and will not effectively sand your surface. Too slow and you end up forming circular dents in the surface, making it uneven looking. 2. Pressing the tool down too hard. Pressing too hard can also ultimately make unwanted dents because you are sanding the material too much. A light pass is all you need to make sure that it will create an even surface afterwards. 3. Forgetting to use the vacuum feature. Always use that vacuum feature once in a while, especially if you don’t have enough safety gear, because breathing the particles in the air is always a problem and a hazard for your health. 4. Tilting your sanding tool. Don’t ever tilt your sanding tool because it can potentially cause injury. If you need to sand a corner or edge, make sure you just use regular sanding that is done manually for that to avoid injury and unwanted accidents. 5. Not using all grits of sanding disks. Consider using all types of grits for different jobs so that you don’t have to suffer using a non-effective grit on something that is too tough and rough to handle. 6. Not finishing the sanding process by hand. Do remember that no matter how much you have machine sanded it, there is nothing that beats hand finishing so that you can fine tune everything once you have finished it. 7. Not replacing your sanding discs. Make sure that every now and then, you replace the sanding disk because not only do they cost some money if you overuse them, they will make your project unlikely to be successful. You should have spares at hand if ever you work on a jobsite. Q: What misconceptions exist with gypsum board walls? All gypsum board walls are of the same type and material. There are actually many kinds of gypsum board walls, such as fire resistant, moisture resistant, sound proof ones and the like. The strength axis of gypsum board wall is not specific. It is actually stronger on the axis, much like in a regular plywood panel or sheet. Gypsum board wall fiberglass tape is the strongest of all. It is not, but it is not the weakest either. It is mostly meant for panel joining rather than for other supportive things unlike the big ones. Fiberglass tape can be used anywhere. Although they have a lot of good uses, they are only mostly ideally used for inside corners. Using longer gypsum board wall screws can lead to better stability. Not all the time, as you should definitely choose a more suited gypsum board wall screw length so that it will not damage wiring that lies beneath. All gypsum board wall screws are the same. Not all of them are the same, because they can come in either fine or coarse. Fine ones are ideal for metal while wood ones should use the coarse ones. Taping can cover all gaps in the gypsum board wall. You should actually replace or repair first the gaps, or fill them up, before you tape them. Garage and utility rooms don’t need gypsum board wall taping. They need just as the same as the protection you give for other areas that need gypsum board wall taping, especially with building codes in fire safe places like in public areas. Gypsum board wall knives can be held in any way possible. Actually, there is some science with the gypsum board wall knife. First, the stability depends on the thumb placed behind the blade. The pressure is dependent on the forefinger to the center left while shifting it to right is in the same way. Q: In which climates can the gypsum board wall be best used on? A: Not all climates in the world can handle a gypsum board wall because of its properties, and therefore, should only have climates that have less moisture. Of course, there is also a kind of gypsum board wall that is meant for moisture rich countries and climates. It is also known as green board and is one of the other types of gypsum board wall that can be great for humid climates. Q: Should I repair the gypsum board wall myself or contact a professional right away? A: The gypsum board wall can be repaired, if you have the proper knowledge, but if you don’t know what you are doing, since gypsum board wall can be sensitive to water, it is best to consult an expert on that matter to avoid getting into trouble with costs and the like. Q: What are the different sizes that you can go for with gypsum board wall? A: Gypsum board wall can come in a variety of sizes, but will usually have a width of 4 feet (some, however, can be as wide as 4 1/2 feet when desired). This one is best for common DIY installation and small to medium sized rooms. If you want a ceiling that is higher, then this is the kind of installation that you may want to have for your home or establishment. They are great for smaller projects that can be used for home improvement or repair projects. This is not that common when it comes down to thickness, but it is great for ultimately thinner gypsum board wall for flexibility. They are great for mostly wall projects and are usually lighter in weight so they are easier to put together. They are the ones that will most likely be installed or used for a ceiling. They are also mostly the fire resistant types. Q: What’s the typical cost breakdown for gypsum board wall installation? Q: What are the different alternatives to gypsum board wall and their pros and cons? They are made of polystyrene core and can be DIY installed. The R-value (13) is great so it is ideal for thermal insulation. Can be costly compared to other materials. Also known as 3D panels that can be installed over your regular wall. The style is very good and ideal for a modern touch. As it is a set of textured panels, a base is required. They are sold as an entire system for you to work on bigger projects easily. Everything comes with it so you’re not missing anything. It can be costly as it is an entire set. This is the use of wood veneer to make the panels of a house or room. They are the best when it comes down to style and appearance. They can be expensive to buy and to maintain. This kind of plaster can be easily applied to most walls. The skimming finish is very easy to paint over due to the less problems with joints. Because you still need gypsum board wall to install, it can be a bit troublesome for some people. Nothing beats the old classic plywood, whether it’s given a clear finish or painted over. It is the simplest of all and most homes, even those in poor countries can afford this kind of material. The texture might not be the best. It combines wet plaster and wood slats. It is great for customization and malleability. It require a lot of skill because of the sculpting. Q: Which materials do you need when repairing a gypsum board wall? 1. Knife – for repairing the plaster. 2. Mud pan and hawk – for carrying the gypsum board wall compound. 3. Sandpaper – for finishing and smoothing the surface. 4. Sanding sponge – to soak up the dust produced by sanding. 5. Corner tools – to reach into difficult areas. 6. Tape – for covering cracks, seams and the like that are repaired. Q: How is gypsum board wall made? 1. Plaster of Paris (a.k.a. gypsum powder) is placed on a container for mixing. 2. Water, paper pulp and starch (and other additives) are added to the gypsum powder. 3. The gypsum slurry goes into the conveyor belt between two sheets of paper. 4. The paper is pressed and rolled, forming your gypsum board wall as a finished product. Q: What are the safety concerns with gypsum board wall? 1. Wear proper gear when working on gypsum board wall, such as a dust mask, gloves and safety glasses. Inhaling any of the chemicals can put you at risk for really terrible stuff such as lung problems and breathing problems later on. 2. Consider gypsum board wall that is locally made to ensure that it is of high quality. Most gypsum board wall that you don’t know the source from might not contain friendly chemicals for you and your home and your family, so make sure you get a quality made gypsum board wall that is at least locally made to support local manufacturers in their business as well. 3. Go for green board if you are working on a moisture-rich climate. If you go for a standard gypsum board wall then it might not stand up well for the rainy days. Therefore, if it is always or most often humid in your area, such as near the ocean, going for a green board is a more economical choice, even if it does cost a few more bucks than regular board. 4. Mold resistant gypsum board wall should be considered if your area is prone to mold and mildew. Just with green board, you should also consider a special gypsum board wall in case you live in a place that has a lot of mold problems. Mold is a terrible thing to have with kids and pets around, as it can cause sickness and the like. Overall, we think that the Goplus 750W is our pick for the best drywall sander, simply because of the compact design that is not too stressful for your hands. 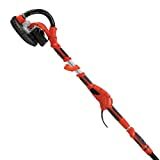 It is also made with good aluminum so that the body and the hose won’t give up too easily while the variable speed lets you control your pace depending on the project that you are working on.